Canadian researchers announced a new technique for building smart windows. If their discovery turns out to be convenient and cost-effective enough, perhaps the energy-saving technology can finally be deployed on a wide scale, according to a ScienceDaily article. Smart windows are capable of switching from clear to tinted and back again, depending on the needs of the building and its occupants. 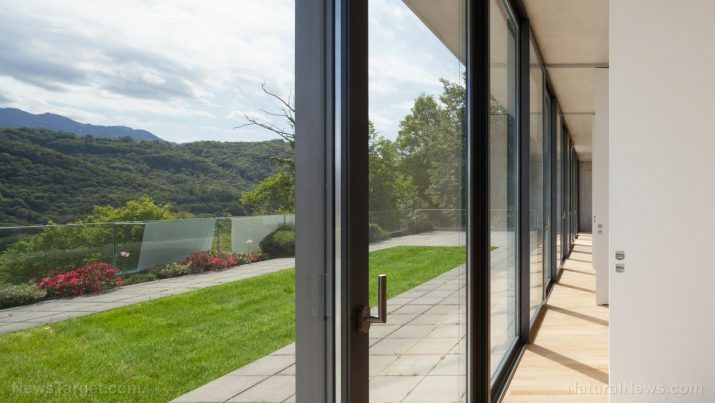 Because it regulates heat and light from the sun, a smart window can conserve electricity that would otherwise be spent on heating, cooling, and ventilation. “Conventional windows waste a third of all energy used to heat, ventilate and air condition buildings,” explained Curtis Berlinguette, a professor from the University of British Columbia (UBC) who authored the study. According to him, smart windows can reduce these costly energy losses. The primary problem is finding ways to reduce the daunting initial cost. Earlier, Cheng and Berlinguette co-created a glass-making technique in a laboratory. Cheng expanded on that earlier work to devise a new type of smart glass that changes color when an electrical current runs through it. In his revised technique, a liquid solution with a metal ion is deposited across the surface of an ordinary glass pane. When treated with ultraviolet (UV) light, the solution turns into a smooth metal oxide film. This technique is called photodeposition, which is very different from the physical vapor deposition method employed by commercial smart window makers. Cheng’s smart window resembles its conventional counterpart until an electric current passes through it. The electricity activates the metal oxide coating, causing the window to take on a blue color that filters out light and heat. The current physical deposition techniques used in commercially available smart windows call for extremely high temperatures and need complex vacuum systems. A typical square meter costs anywhere between $500 to $1,000. For the sake of comparison, a conventional glass window of similar size can go as low as $30 and not exceed $200. Cheng believes his solution-based smart window would cost much less than current commercial models. It employs normal glass – which is cheap to begin with – and the only specialized equipment is the UV light machine that treats the metal oxide coating. “Our technique creates a uniform dynamic coating without the need for special instrumentation. Another advantage of our method is that it is compatible with many different metals and it is scalable,” he said. According to Cheng, the dynamic properties of his new smart glass can be further refined for superior performance. He promises his invention could be scaled up for very large windows used by commercial customers. Indeed, the UBC research team reports that they are already working on bigger examples of their smart windows. They say these new prototypes will be capable of stable operations for extended periods of time. “A commercial window needs to last many years, and we need to prove our windows can do the same,” Cheng pointed out. Another improvement in the works is altering the color of the smart glass. As mentioned earlier, it takes on a dark blue tint, which some might find dreary. Cheng and Berlinguette are experimenting with metal oxides that produce more subdued colors. They want a version of the smart window that turns grey instead of blue. Learn about other energy-saving technology at FutureScience.news.